Without getting into the very specifics of how it works, the 3DS displays two images that are off-centre: one for the left eye and one for the right eye. This means you have to look at the 3DS display within 14 inches to get into the sweet spot to see the 3D capabilities; however, this varies from person to person. Here're some breakdowns for grading this device. I'm not completely taking anything from what others say, and instead, just using my own experience. Honestly, as long as you charge it at the end of the day, it's not as big a deal as some might say. Heck, it lasts longer than my laptop on full 3D. Well, it really varies on the games themselves, but from what I've seen so far, it IS a handheld console, so these are no Xbox 360 graphics. However, the 3D effect allows for added depth and greatly advances game environments. I give it an "A-". The circle pad is perfect, with smooth accurate motion and it's comfortable to the touch. The D-Pad is simple and the button layout is great, but what further enhances the handheld is the full touch screen, which allows for unique control schemes for each game from the developers. This is "A" for awesome. The 3DS comes packed with two games. One is AR (augmented reality) games contain several mini-games, such as shooting 3D monsters that appear on your coffee table (not big ones, just small critters). The other game is Face-Raiders: take a picture of your friend and use the 3DS gyroscope to look around and shoot the head of your friends (this gets addicting). The amazing Street-Pass will collect info and avatars from other 3DS-es in your immediate surroundings and allow you to collect puzzle pieces and heroes for a mini dungeon crawler. Constant updates via wireless internet have added bonus material to games such as free DLC for Samurai Chronicles but also enabling use of the Internet and Nintendo E-Shop where you can purchase games and download trailers to the 3DS. Shoot targets in the AR and slay the dragon by shooting certain spots. This is "A+" for being completely unique and inviting social aspects back into gaming. 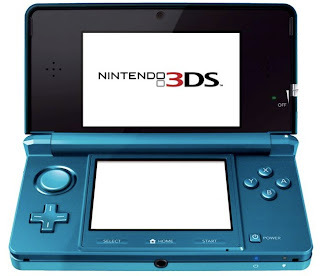 Ultimately, I give the system an "A", but obviously you need to decide if it's something for you (Nintendo's 3DS). This, of course, should be decided by the games for it (link to the games). 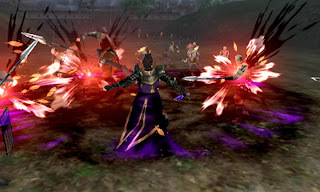 I personally own Samurai Warrior's Chronicles (hack n' slash strategy with over 40 unique characters to play). Also, I have Zelda Orcarina of Time 3DS, which is obviously amazing and is a must if you get the 3DS. Because slaying numerous enemies in front of you with ridiculous moves is awesome. I plan on buying Devil Survivor Overclocked, Luigi's Mansion 2, Kid Icarus Uprising, MGS 3, and Resident Evil Revelations. found an unofficial list of 140 games planned for 3DS here, while some of these are true for japan we will have to wait and see if they indeed come out for N.A. or at all.